Applying flowchart software is a paperless and effortless method to advance education, saving both time and money. 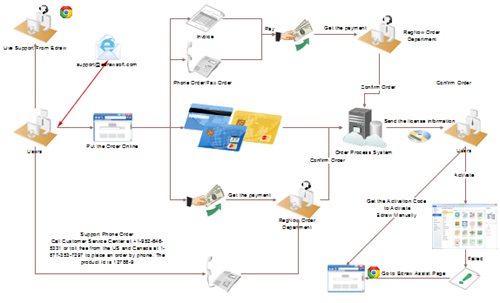 See how you can benefit from flowcharts in the following statement and examples. No matter what role you play in education, teacher, student or administrative personnel, you can benefit a lot from using flowcharts to advance education. It can be a paperless and effortless solution. The human brain has been adapted to be a pattern finding organism, so putting concepts and ideas into an organized and structured way with flowcharts will aid understanding and learning. They also help overcome information overload and the limitations of temporary memory (i.e. that you can only keep a limited number of thoughts in mind at a moment). Teachers can break a teaching plan down into smaller sub-processes. The points of each sub process can be discussed in detail on each of a sequence of PowerPoint slides. While trying to develop and remember all teaching contents as a whole might be quite daunting, developing and remembering what to present about each individual slide is much easier. Flowcharts are used to break complicated processes down into a series of smaller, more manageable steps. 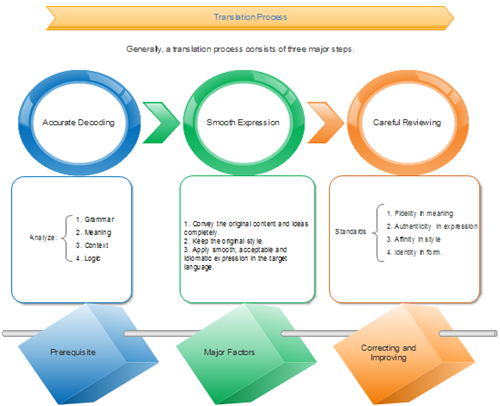 They can be used to schematically describe a complex system, as is the case with the Translation Process illustrated below. In this way, teachers can impart knowledge better since students can understand faster. It is said that interest is the best teacher in learning. How to arouse students' curiosity and improve their interests has long been a hard issue. One of the most effective ways is to use infographic materials. Flowcharts can demonstrate things step by step visually, including lines and many vivid pictures showing flows and relations clearly. They can boost students' interests much better than text only. For example, when talking about E-commerce, students will "get the picture" of order flow at a glance from the following flowchart. What I hear and see, I remember a little. What I hear, see and ask questions about or discuss with someone else, I begin to understand. What I hear, see, discuss, and do, I acquire knowledge and skill. A teacher's goal is not just to present knowledge but also to facilitate learners to experience, gain and master knowledge and skills they need in life. By using pictorial flowcharts, teachers can actively involve students. To create high quality flowcharts, rely on an automatic and efficient solution - Edraw flowchart software. With a large quantity of pre-drawn examples and more than 12000 symbols, drawing with Edraw is the easiest method so far! The flowchart symbols are in vector format with auto generation function. 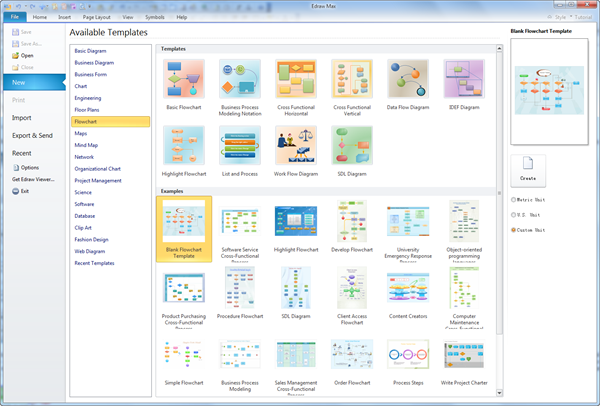 Users of all abilities will surely benefit from its drag-and-drop interface and point-and-click editor.